Playbook inc. represents current and former athletes, journalists, and sports and media personalities on almost every major media outlet in the country. Now in its second decade as one of the industry's most prolific agencies, the Playbook team has negotiated hundreds of millions of dollars in broadcast, marketing, and endorsement contracts on behalf of their established roster of clients. Playbook is not only a name, it is a philosophy. Whether transitioning iconic players from the field to the broadcast booth, or representing the broadcast industry's most celebrated talent, the team presents each client with an actual 'playbook'​ that details the immediate, mid-range, and long term strategies for success. In combining passion and resources, Playbook's proven track record as representatives allows their clients to continue to be staples on all major networks and sports cable providers, as well as commercial spokespeople for the world's most prestigious brands. Chris Uhrig is the SVP of New Media Ventures for renowned sports-agency, Playbook Inc. 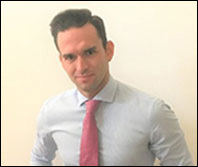 In his role, Mr. Uhrig leads all New Media initiatives; this includes -- the venture practice, principle investments, content creation, social media monetization, corporate/brand advisory as well as talent representation. Mr. Uhrig is a seasoned investment professional with significant and broad transactional experience having completed $650M+ of corporate acquisitions, restructured $500M+ of liabilities and invested $150M+ of growth capital. Prior to joining Playbook Inc, Mr. Uhrig was the VP of Investment for a South-Florida based venture capital firm. Prior to that, Mr. Uhrig worked in the Mergers & Acquisitions Group for ADT, the leading home security provider in North America. Prior to ADT, Mr. Uhrig worked as an Investment Banker for Raymond James & Associates based in their Leverage Finance & Restructuring Group in New York City. Mr. Uhrig is a proud graduate of the University of Florida.